Who will come to Your Call for Aid? Most of us are here because we believe our American spirit is disintegrating before our very eyes. So, we keep informed, make preparations, and see that we are capable of at least defending ourselves. Being proactive as we are, we know we can’t go at things alone, so we’ve sought one another out, and many of us have gone through a lot to get to this group; a sense of pride and accomplishment in itself. Dutifully, we go about our meetings and activities, and we’re comfortable in that. It gives us a sense of security to know that we have such knowledgeable and capable members, who will come for us in our hour of need. 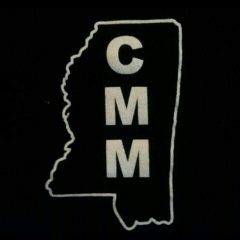 All those other things that CMM does; organize training, fundraisers, and arguably the most important, politics, are things that other members do. The problem with that idea is it puts too much burden on the leaders and a highly motivated core to do the heavy lifting. After Trump was elected and Obama removed from office, enters this misguided belief that the pressure is off. Someone else is going to solve the problem for us, and maybe that someone is Trump. So basically we are hiring political mercenaries to run our Government for us, and we are witnessing the fruits of that effort, or lack thereof. The fact is that all the evil in every country in the world is being held at bay by about eighty to one-hundred million Americans who are willing to pay taxes to hold that line. Only sixty-two million voted in the last election for Trump. Three percent of that is only one-hundred-eighty-six thousand people across the country: the proverbial blades of grass. Mississippi’s share of that works out to about nine hundred and change. And if my ratio of Facebook friends to likes and responses is any indication, it’s closer to one percent, or just over three hundred people. By that math, we’re it folks. We are the cavalry. We are the only ones who will come for us. No one else cares. That is the reality. Therefore, we must increase our individual capabilities and participation. It’s been said that every person brushes their teeth every morning and puts their pants legs on one at a time just like everybody else, so we’re all the same, in many regards. If we can make time to brush our teeth, we can make time to do the things that not only hold that worldly evil back, but more importantly, begin to reknit the fabric of society that’s still being torn away. But how do we do it and what can one person do? CMM is the answer to that question. The level of organization in this group is impressive, and it’s our best asset. With increasing involvement from our members, we are answering those questions from the ground up, not the top down. With continued development of skill and specialization we multiply our capabilities as well as become more interesting to new people who also seek to learn, grow, and contribute. This organization is unique as it has no centralized control, it’s purely voluntary and focused on relationship. That’s powerful, because those are the qualities that government lacks the most. Many of us are doing things with this group now that we never dreamed we would do, and we have opportunities to learn from people we never would have met on our own. We must continue to give back to this organization our time, involvement and patience, because we, nor the organization are the beneficiary, it is our American way of life that we’re fighting for. We are the front line for Mississippi. Previous Previous post: Jedi Warriors?